The America The Beautiful Conference was created by artists Will Anthony, Daria Chuprys, Teryn Darling and Mary Ritcherson. The fantastic four came together combining their knowledge, experience and vision to bring you an exciting and educational training event. With quality and content meeting their highest standards, some of the most talented and respected artists/trainers from all over the world will join them in teaching you their top procedures. The workshops, the topics, the vendors, the line-up and the fun will make this conference a one of a kind event. Please join us at the Golden Nugget on the world-famous Fremont Street in Las Vegas, NV on December 2nd -4th, 2019. With over 22 years of experience, Will Anthony® has an illustrious career. 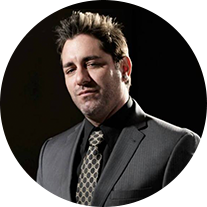 Establishing his permanent cosmetic business in 1996, Will Anthony® owned and operated several tattoo studios, as well as Will Anthony Permanent Cosmetics and The Guest Spot Electric Tattooing. Will draws from his all-encompassing background to combine traditional tattooing techniques with current micropigmentation techniques, and along with his exceptional artistic skill, he is able to achieve the perfect Smoky Lash Enhancement®, which he is recognized for worldwide. Daria Chuprys is a world renowned leading trainer and pioneer of the Microblading hand method technique; located in Beverly Hills and Athens. Her attention to detail and precise hairline stroke placement methodology achieves the most realistic eyebrow tattoos in the world. Her reputation for excellence has attracted celebrities and media influencers from all around the world. 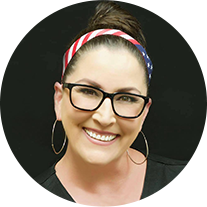 She strongly believes in a sound fundamental education, dedication to practice, and continuing education throughout a Permanent Makeup Artist’s career. Teryn Darling has been a cosmetic tattoo artist for over 17 years. Her background in body tattooing elevated her to be one of the most versatile and standout artists in the industry. She owns the Girlz Ink Studio in Las Vegas, she is the master distributor for Li Pigments, an international trainer and mentor to many. Mary Ritcherson, a sought after eyebrow artist and trainer is a Florida native that has been a licensed permanent make up artist since 2004. 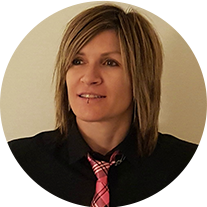 She has over 13 years of experience and Is known worldwide for her signature hair stroke technique, NanoLines®. Although eyebrows are her specialty, her passion is teaching. She prides herself on maintaining the highest standards when training and gives 100% to her students.